The leaders of the church realised they needed to do some work on vision. They sensed God was calling their faith community into a new stage of ministry and mission, but they weren’t sure how and where that call needed to be focused. They had set aside an evening to listen to God, and each shared initial thoughts and values. Then the pastor shared from a book she had found helpful. It listed a ten-step process for discernment based on the assumption that God wants his will to be known by his people. The leaders found the process energising; the evening was fruitful and provided a pattern for ongoing discernment. I was there – and I bought the book the next day. It has provided me with another rich theme in my series on quality conversations. 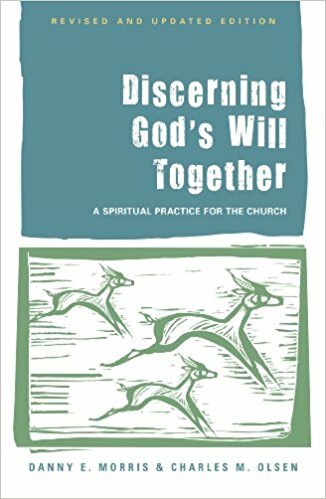 In Discerning God’s Will Together: a spiritual practice for the church, (Alban Institute, 2014) authors Danny Morris and Charles Olsen updated an earlier version that had created intense interest and prompted other authors to address the subject. Morris comes from the United Methodist tradition and brings insights from the Quaker movement; Olsen is a Presbyterian and has a special interest in Catholic Ignatian practices. The book reflects on the meaning of discernment for the faith journeys of individuals and churches, and offers an alternative to the Western management styles often used by Christians to come to a decision. Given that my recent posts have addressed the dynamic of sensitive respectful human conversations in creating mutual understanding and shared goals, I welcomed the chance to dig deeper into this topic. Discernment has been formative in my leadership journey - personal and corporate – and also my work as a clergy supervisor. Discernment conversations are another dimension of the quality engagements that help us create shared meaning out of our pasts, and imagine new futures. Attempting to find and obey God's will is daunting. We wonder if what God wants will be hard or impossible. And looking back we often feel we didn’t get it right. But that’s because we see God's will as unchanging and immovable, like a rock set in concrete. Morris and Olsen describe a more organic relationship with God that prompts us to look for God's heart, God's “yearning”. Yearning is a softer word, and may open up wider horizons, but in fact God's will and God's yearning are the same. 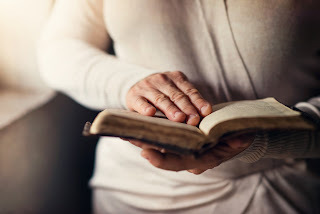 God’s will is "the best thing that can happen to us", so seeking to discover what God is yearning for may well be the most important question we ever ask. The authors examine three contexts of discernment – individual, group and assembly/large governing body; this post looks particularly at group discernment situations like that described in my introduction. Within the context of a church’s mission vision - the kingdom of God - discernment seeks God’s yearning in and for a situation, and calls forth radical obedience. However most of us have experienced church meetings where individuals and lobby groups use “power, influence, reason, discourse and carefully plotted strategies” and end up pooling their ignorance, prioritising expediency, and accepting political trade-offs (DGWT p 4f). Our reliance on parliamentary-style debate means people who are verbal and assertive have the advantage, bypassing some who are gifted in prayer, faith and spiritual discernment. What this book describes is more like a dance, where the participants share wisdom, reason, intuition, tradition, and practices in a climate of humility. Five main chapters examine the What? Why? Who? How? and Where? of discernment. Down through the centuries believers longing to know God’s heart have found themselves being shaped by Biblical spiritual disciplines. These practices include worshipping, storytelling, confessing, forgiving, blessing, praying, listening, doing acts of mercy, and seeking justice. They bring forth the wisdom of the community in both 'being' and 'doing'. So we don’t need to reinvent the discernment wheel. Saints through the ages have practiced discernment and we can learn from them. A short historical review notes that monastic practices of community discernment were overshadowed by the Roman church’s reliance on Tradition and Papal pronouncements on faith and life. The Protestant Reformation brought the emphasis back to Scripture, and the printing industry made the Bible available, not only to be read but to be used as “the divine spectacles through which one could discern God's leading” (DGT p 22). However John Calvin’s emphasis on decency and order – essential in the chaotic setting of Geneva - relied more on Greek and Roman models. His training as a lawyer and his theology of human depravity led to a rational system of government reliant on rules and ordinances, which was to shape not only English Parliamentary culture but also the “town meetings” of America. Focusing democracy on a theology of sin and evil provided checks and balances that were meant to hold back the evil intentions of a few. The price that was paid was that discernment morphed into something verbal and rational, a paradigm exemplified in Roberts’ Rules. Major Henry Roberts' Rules have been widely used in church and society, but they were originally designed as rules for combat. The Anabaptist heritage was centred on involving the whole congregation in decision-making, but 300 years later meetings in Roberts’ American Baptist Church often ended in disorder. He drafted a brief statement of procedures based on rules used in Jefferson’s Congress. These were widely adapted in the US for use in religious and civic settings, and are similar to the standing orders of many churches in New Zealand. The Rules are helpful for handling diverse viewpoints and for streamlining decision-making in large groups, but can be intimidating to women, youth, and people in developing societies. The church has often borrowed management methods from business culture, but such frameworks, say Morris and Olsen, cannot in and of themselves provide a structure for spiritual discernment. Instead, we should return the church’s own rich traditions, such as the Quaker Clearness Committee, to “ generate the kind of faith, life and ministry God longs for” (DGWT p 40). • Shedding lays aside ego, preconceived notions, false assumptions, biases, and predetermined conclusions, so everyone can openly consider the matter. I whole-heartedly recommend this book, available in print or on Kindle. It is based on the gospel premise that God is active in human experience and guides discernment in ongoing ways, and that in seeking God's will we need to be willing to change our hearts. To Think About: Where have you had to exercise discernment recently? Was being in community a helpful dimension?